Tom Worrel - The best practioner of Professor Longhair style piano. Sheba Kimbrough- longtime Professor Longhair drummer. 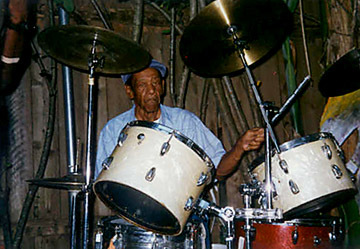 CAlfred "Uganda" Roberts - longtime Professor Longhair percussionist. Sheba Kimbrough at one of the first Mau Mau shows.